Welcome to Day 5 of my 12 Days of Christmas 2017. 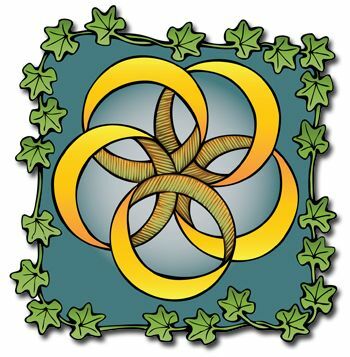 I’m honored to say that I’ve had loyal readers who have been with me since the beginning and look forward to what theme and ideas I come up with year to year. Day 5 is an interesting and unique twist on a hostess gift. I always make a point to bring a gift to the host/hostess when I am invited into their home. I also try to be creative with my gift and/or presentation of the gift. 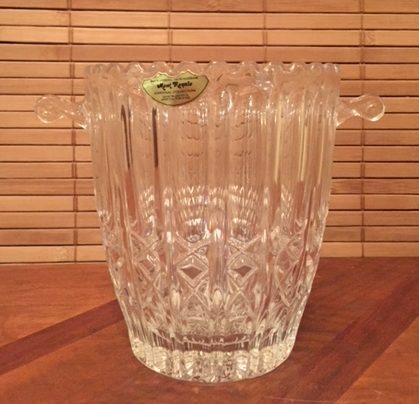 I found this gorgeous Mont Royale Cardinal Collection vintage crystal ice bucket at Salvation Army (under $5.00), value $50-85 (win win). A small poinsettia is also a nice hostess gift. I don’t usually like the plain green pot they come in, so I wrapped it in a piece of decomesh (yes I love the stuff because it is so versatile) and I used the ice bucket as the way to present it. I think it looks great and it’s actually two gifts in one. It’s been a great deal of fun preparing for this event, and I can’t wait to show you what the next Wandaful Thing is – be sure to come back for Day 6. Here is a recap from days 1-5 along with links to all the Wandaful Things I created last year (2016). 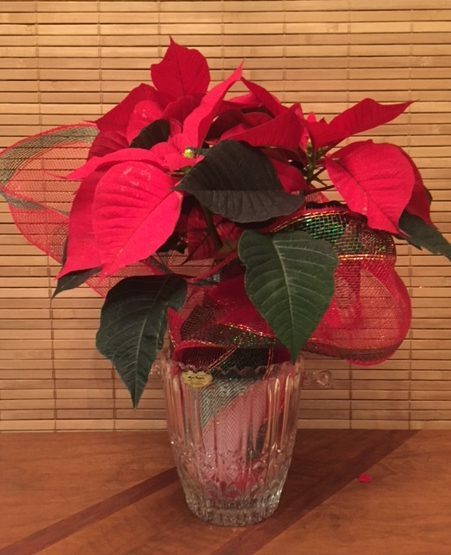 This entry was posted in Decorate, DIY, Food, Make and tagged 12, 12 Days of Christmas, challenge, Christmas, Crafts, day 5, Decorate, DIY, easy, gift, gifts, hostess, ice bucket, ideas, inexpensive, pointsettia, recycle, red, repurpose, reuse, simple. Bookmark the permalink.